Professor Juan Miró, FAIA, LEED AP was born in Barcelona and obtained his professional degree at the Escuela de Arquitectura of the Universidad Politécnica de Madrid. In 1989, he earned a Fulbright Scholarship to complete a post-professional Master’s degree at Yale University, where he was awarded the William Edward Parsons Memorial Medal. He has been a faculty member at the UTSOA since 1997 where he teaches architectural and urban design, construction, and Mexican Architecture. Since 1998, Professor Miró has directed Studio Mexico, a program at the UTSOA that affords students the opportunity to travel to Mexico to study Mexican architecture and design. Professor Miró has lectured and written on Mexican Architecture with a special focus on the ancient city of Teotihuacan. 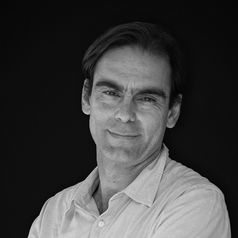 Professor Miró is also a principal and founder of Miró Rivera Architects, an architectural firm based in Austin. The firm works on a variety of projects spanning from urban design to institutional and commercial buildings to residential architecture. The firm has garnered over 70 design awards, including the AR Emerging Architecture Award, the Texas Architecture Firm Award, and 34 local, state and national AIA Awards. Miró Rivera Architects was awarded the firm achievement award by the Austin AIA in 2006, and received the Texas Society of Architects’ Firm of the Year Award in 2016. In his teaching, practice, and research Professor Miró explores the connections between architectural design, place making, Nature, and the relevance of history. He regularly lectures about his work in professional and academic settings in the US and abroad.